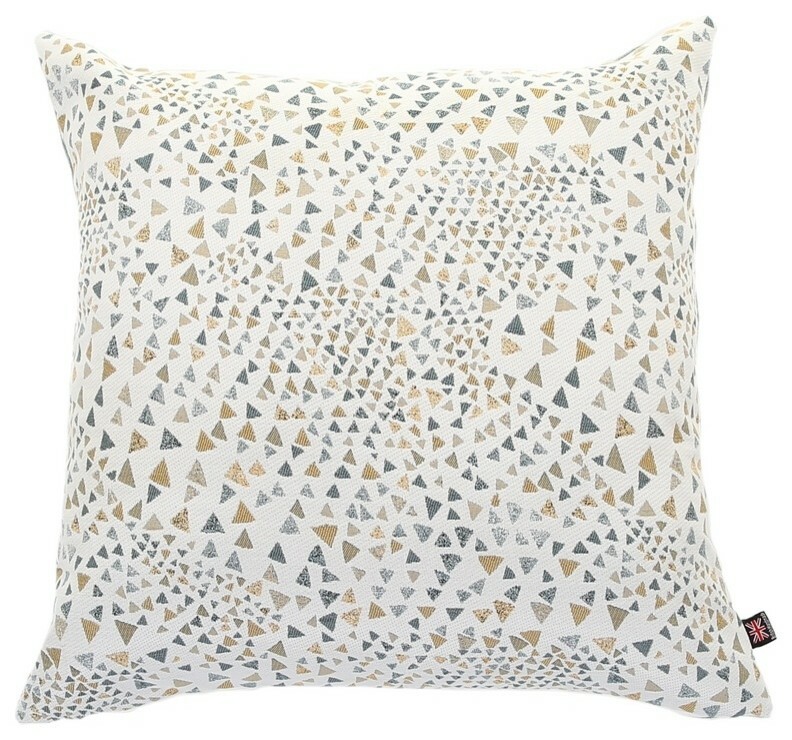 This cushion features dozens of triangles of different sizes and in different colours spread out across its decorative face. This attractive design coupled with the soft, soothing chenille body of this 55-by-55-centimetre scatter cushion make it a versatile option that can be paired with sofas and beds, modern or traditional. From deep within the UK, the family-run Yorkshire Fabric Shop produces upholstery fabrics and a wide range of cushions for homes across the world.